Dollarship Awards can be used toward student loans, current tuition or 529 Plan savings! 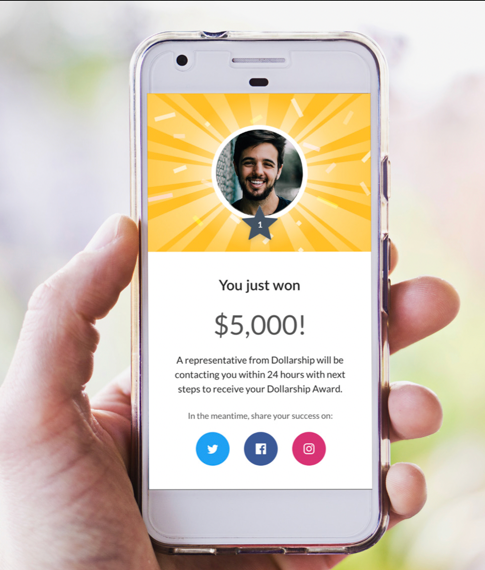 We award up to 10 winners each week, with Dollarship Awards ranging from $500 to $10,000 - many chances to take home an impactful prize to help you stress less about a college education! Watch our commercial below to learn more about how Dollarship works!